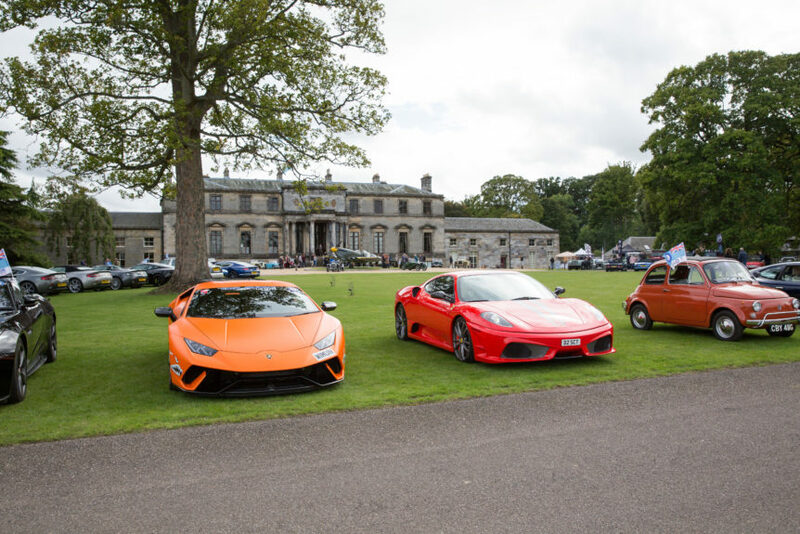 A spectacular two-day event attended by 100 supercars – organised by Driving Scotland and hosted by Broomhall House – has raised more than £15,000 for the RAF’s leading welfare charity, the Royal Air Force Benevolent Fund. Arranged to celebrate the centenary of the Royal Air Force, the event involved the exclusive use of the Forth Road Bridge and a flypast by one of Scotland’s oldest operational aircraft. 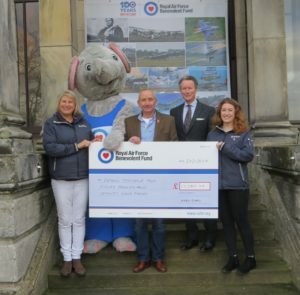 A cheque for £15,080 was subsequently handed over by Mark Ryan, founder of Driving Scotland to Zee Fletcher, UK Community Fundraising Manager for the RAF Benevolent Fund, at Broomhall House, near Dunfermline. Lord Bruce explained that the River Forth had been the target of successive enemy raids in 1939 and as such the Forth Road Bridge has special significance for the RAF. During the Second World War, Spitfires from the City of Edinburgh squadron were responsible for shooting down the first German aircraft during the conflict, when the German air force launched waves of bombing raids targeting the nearby Rosyth naval base in the Forth. Following a black tie dinner held the night before, guests were joined by RAF veteran Arthur Reid, who flew with Bomber Command during the Second World War, and enjoyed a Tiger Moth flypast, a static Spitfire aircraft display and guided tours of the Broomhall House collection. 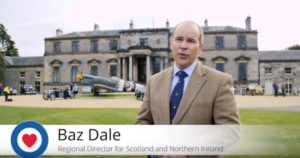 “We are so grateful to have the support of Mark Ryan and Lord Bruce in what has been a very historic year for the RAF. After almost a year of planning it was wonderful to see the event come to fruition and observe the spectacle of the 100 supercars crossing the bridge, what a moment that was.